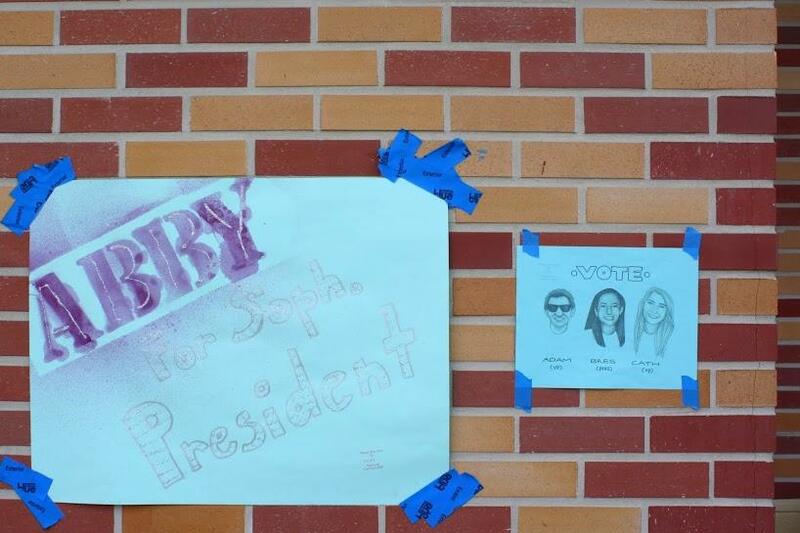 Freshman Abby Khouri publicizes with glitter in D hall. 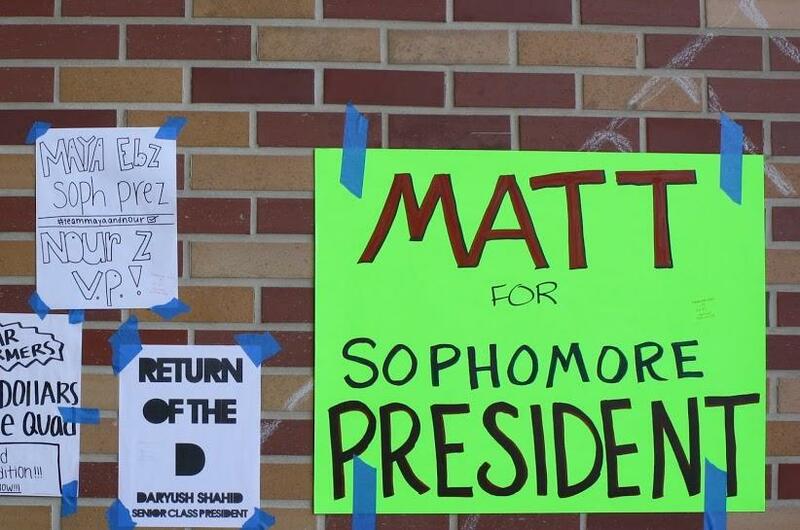 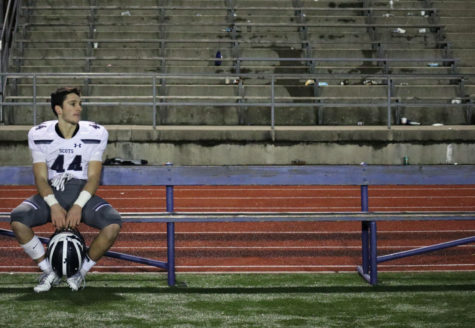 Freshman Matthew Irwin takes a brighter approach towards campaigning. 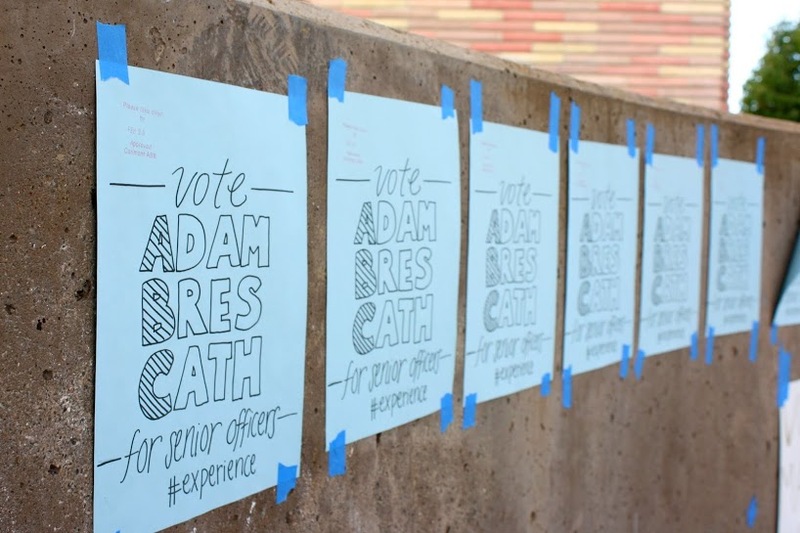 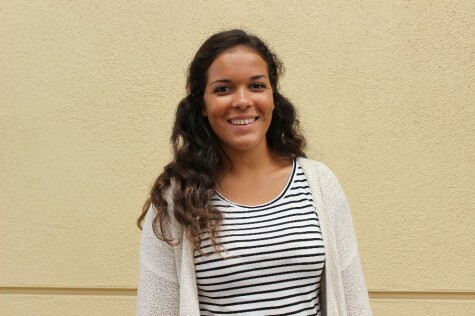 Several patterns are used in freshman Abby Khouri’s C hall poster. 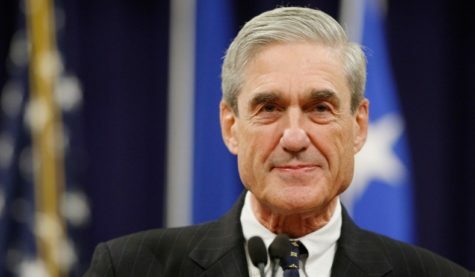 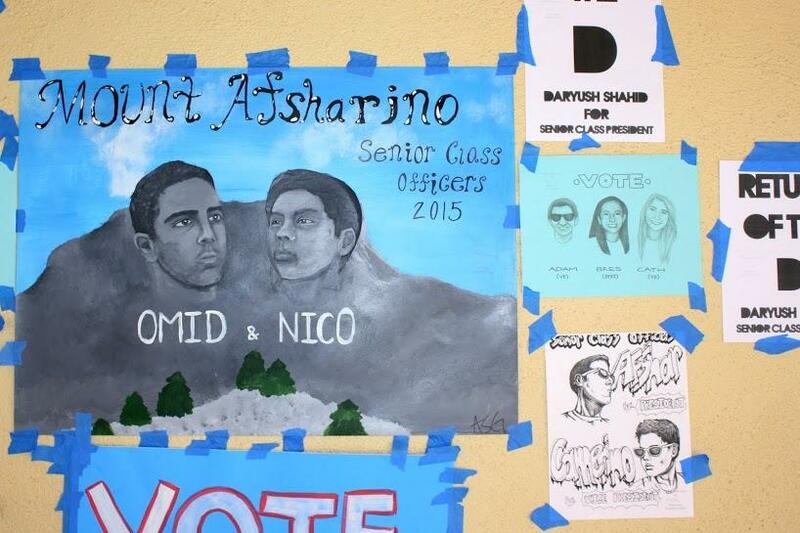 Mount Afsharino stands strong amid the sea of competition. 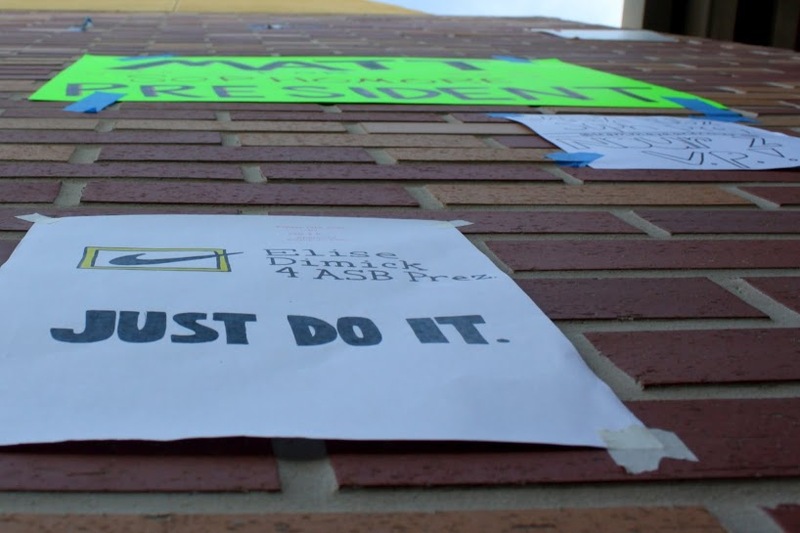 Junior Elise Dimick adopts the popular Nike slogan. 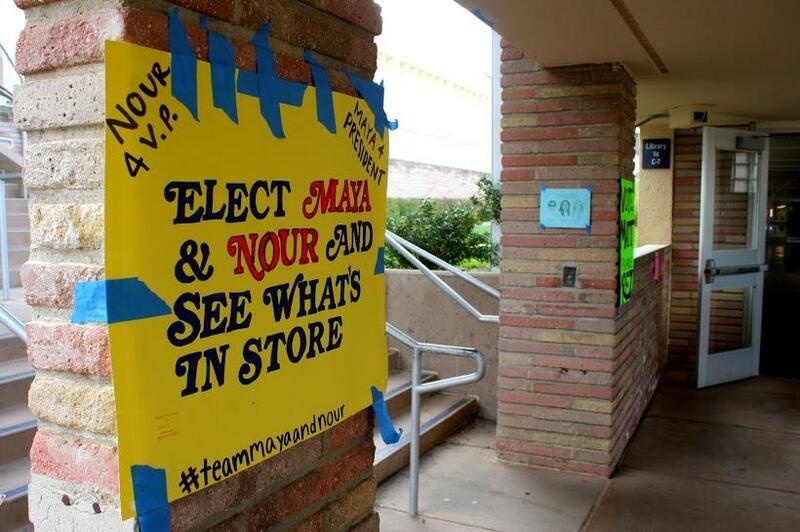 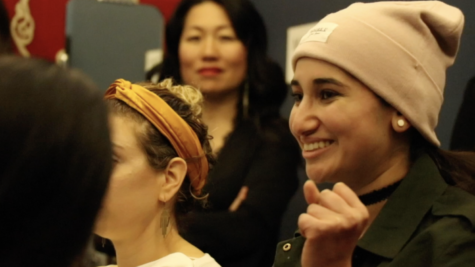 Freshman Maya Ebrahimpour and Nour Zabaneh use catchy slogans to rake in their votes. 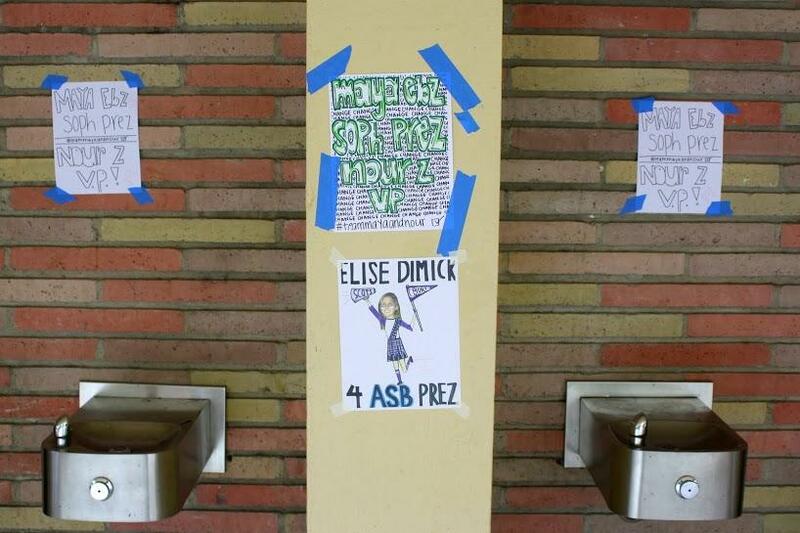 Freshman Maya Ebrahimpour and Nour Zabaneh promote alongside junior Elise Dimick at the C hall water fountains. 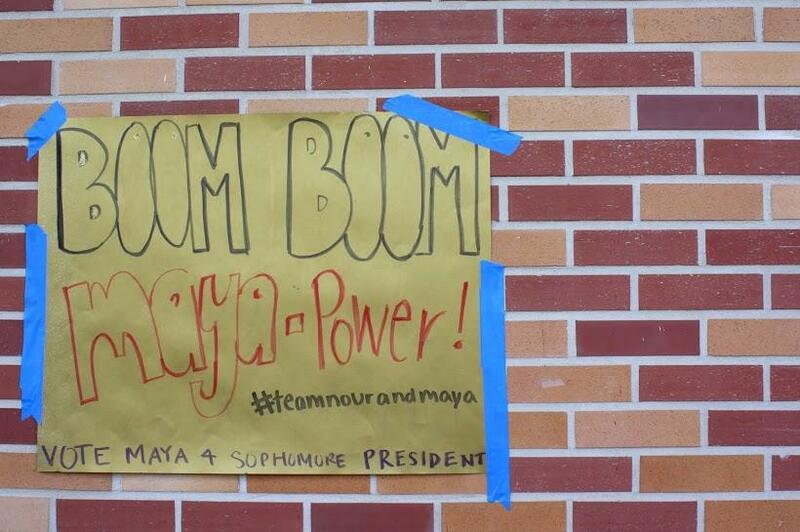 Freshman Maya Ebrahimpour plays on words in her poster, complete with a hashtag. 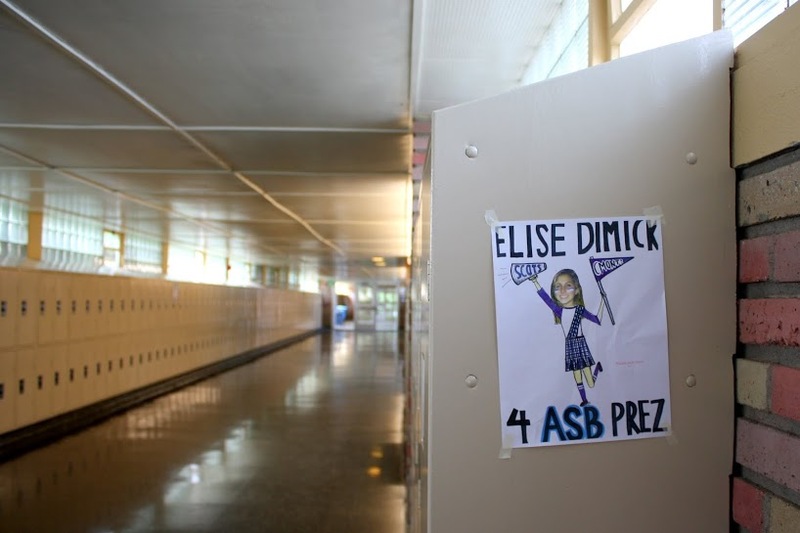 Along the main stairs, students look down to find posters promoting junior Elias Sebti. 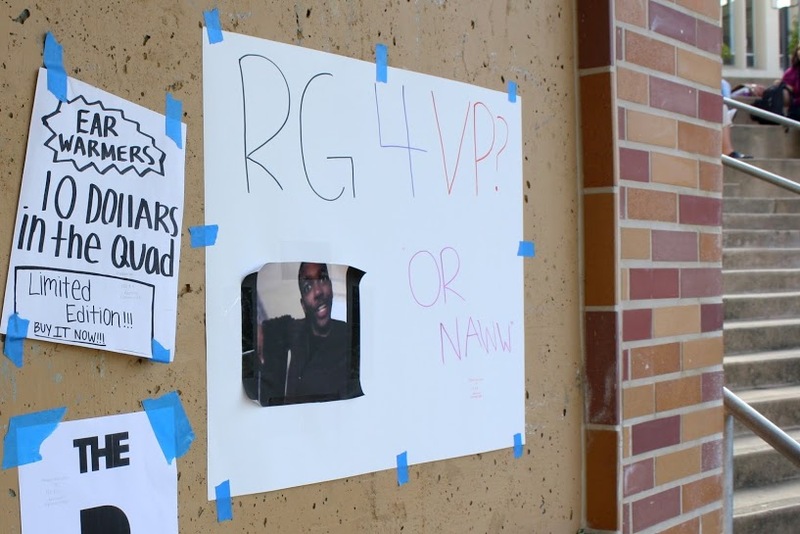 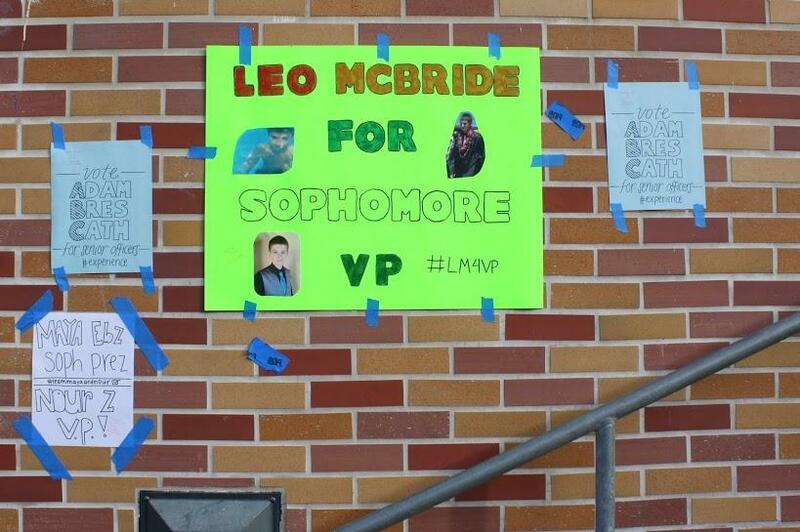 Freshman Leo Mcbride promotes among smaller and less colorful flyers in the Quad. 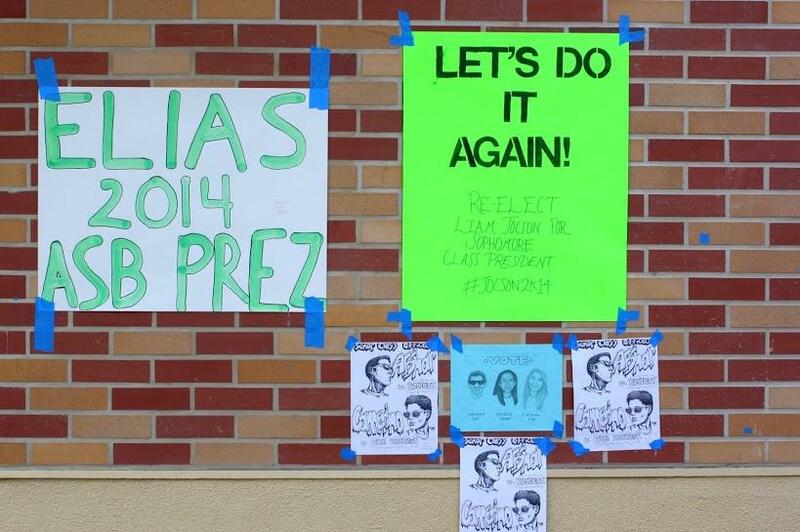 Freshman Liam Jocson asks for a re-election among other candidates. 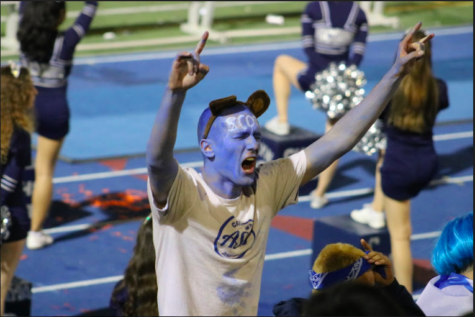 Juniors Adam Cobb, Amanda Breslauer, and Catherine Schulze take “ABC” to a new level. 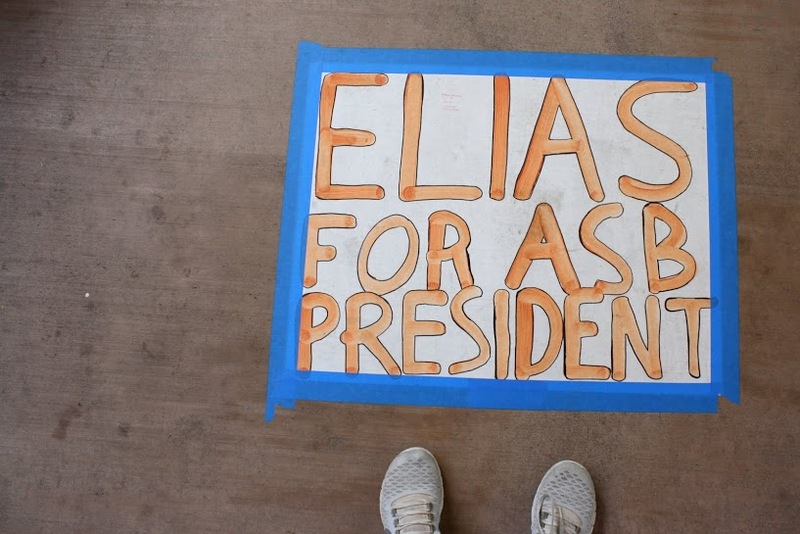 Freshman Ryan Geronimo publicizes among ASB flyers in the Quad.